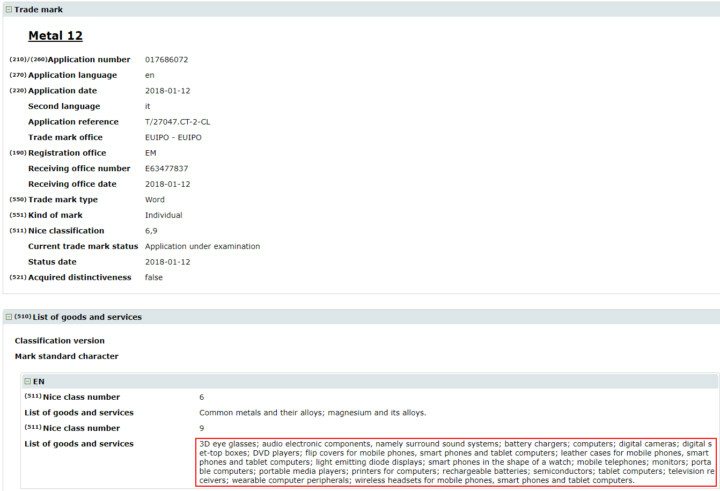 Samsung has just filed in a trademark with the (European Union Intellectual Property Office) for Metal 12, which is apparently a new lightweight and durable magnesium-aluminum alloy developed by Samsung itself and already used as the main material on its recent Notebook 9 (2018) laptop. This latest trademark application hints that this new alloy would most certainly be used in other Samsung devices, which, of course, on its own implies that the Galaxy S9/S9+ and likely wearables like the Gear S4. What are the benefits of magnesium versus aluminum alloys though? Although the difference in such overall-light devices like smartphones wouldn't be that much glaring, magnesium is lighter than aluminum and stronger per unit volume at the some time. Those two extraordinary properties of magnesium, the twelfth element in the periodic table (hence Metal 12), have dubbed it "the metal of the future", and it's easy to see why. As SamMobile points out, Samsung has definitely toyed with magnesium alloys before, reportedly having developed a magnesium Galaxy S7 prototype a few years ago. This did not came to fruition, but it seems like 2018 could be it for Samsung's magnesium dreams. Of course, merely filing for a trademark and having a laptop with the alloy in the works doesn't explicitly mean the Galaxy S9/S9+ and even the Note 9 would definitely be made of the material, but it is a possibility that shouldn't be ruled out at all. So which one is better Stainless Steel or Magnesium Alloy? magnesium. stainless is durable but heavy. Samsung has deep thought about choosing the best materials. Magnesium or stainless steel doesn't really matter, they're both good, but the ones from Samsung is 10 times much superior than Apple's or other cheap manufacturers. At least they didn't bend like a twizzler. Iphone 6 plus anyone??? Who the hell bends twizzlers? That sounds like sacrilege to me. IPhone 6 Plus took 75lbs of pressure to bend and snap like a twig. Note 3 with a polycarbonate case took 150lbs of pressure to bend. Yeah. Metal is cheap too last I heard. Feeling premium and being premium is 2 different thing bruh. My iPhone X has yet to bend. Also, are you people REALLY gonna harp on one phone bending while Samsung was literally using Dixie cups plastic to make their flagship phones for 5 generations? I don't mind plastic phones (in fact I'd probably prefer them) but the plastic used in the S3 was the slimiest, cheapest feeling variation I've ever held before. The HTC One X felt MILES better, and the iPhone 5 was in a league unto itself at the time. I wasn't going to pay $500 for that kind of crappy chunk of recycled water bottle materials when I could get an X or iPhone instead. Gotta admit though my dude, Apple did get exposed with the 6 Plus. That made them do 7000 series, and I'm glad they made the move. That wasnt the only phone to bend. IPhone 4 and 4s vented like a piece of crap. Iphone 5S arrived brand new and bent in the box. Iphone, 3g and 3gs all discolored from the chips bring the casing. Samsung phones in white never got discolored. So no, the iPhone 6 is not the o my one. But remember you brought up old Samsung phones first. But you talk about someone else harping. Oh and if I break the glass on any Samsung, it's not going to cost the price of a laptop to fix. Be careful with your glass toy that. Ant run 32bit and 64bit apps on the same software. Well steel is a 2000 year old metal. So good luck with that. To be frank the Galaxy S5 has the most durable built quality. It refuses to be broken on multiple falls till today. Because Apple never used the same xheap.plastic on all 3 of th3 first iPhones, their Macs and the iPhone 5C? Popped that Apple perfect bubble again! Apple is by no means a cheap manufacturer. Hahahaha. IPhone 6 cost $220 to make. That's pretty cheap and the 5S and SE are even cheaper. Because it's lighter than stainless steel, that is all. Apple went stainless steel because you can polish it to a mirror finish whereas the magnesium alloy has to either be coated or sand blasted/ anodised. The only thing is th3 alloy feels like plastic. I like the cold feeling or aluminum. Stainless steel feels much more premium due to its weight and fairs better in durability than cheap magnesium alloy. That’s why iPhone X has the best build quality in the industry. Latest magnesium alloys have stronger durability than stainless steel, at the same time having other important benefits over steel. Agreed. Like someone noted above, pro dSLRs have magnesium alloy chassis specifically for the durability + weight. This is professional equipment that must be able to withstand far more than a phone is usually put through. 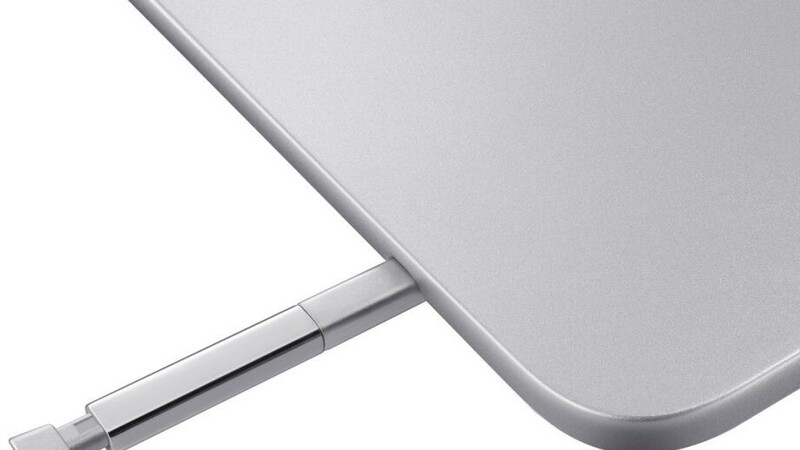 Also, the Surface tablets are made of magnesium with a VaporMg coating. The original Surface RT was entirely VaporMg, but that was leading to production limitations. The Surface RT was a beast in terms of durability for its time. Except that polished stainless steel scratches extremely easily, especially around the ports, or should I say the port. Magnesium alloys are both more durable and more expensive than SS. Do your research before spewing nonsense. LMAOOOO! Dude the iPhone X scratches so damn easily, it's not even funny. I don't even bother taking mine out of its case. Hop on YouTube. Its build quality is great, but no better than any other top phone out there. Stop fanboying. But stainless steel doesn’t dent as easy as aluminium. Go watch iPhone X vs iPhone 8 Plus PhoneBuff drop test. I saw it, when it first came out. The build quality extends to nicks, and scratches too dude...do not even try to deflect. You can polish the scratches out of the silver model and the black coated bands don't scratch, if anything they chip.